Eamon Zayed put his recent racism row behind him to fire Derry up to third place in the Airtricity League Premier Division. break the deadlock at the Carlisle Grounds against his former club, before Daniel Lafferty's sixth of the league campaign settled the issue. For their opener, the Candystripes started a move near their own left corner and broke across the pitch. Gareth McGlynn then sprayed the ball back out to the left flank to James McClean. Athletic and extend their unbeaten run to nine matches. Being watched by scouts from Wigan, Reading and Peterborough, McClean jinked inside and then out before delivering a pinpoint cross for Zayed to score at the back stick with a diving header, which went in off the underside of the crossbar. It got better for the visitors as they doubled their lead in the 73rd minute. downward header into the far corner of the net. It looked as if Derry would register their 15th clean sheet of the campaign when Ger Doherty brilliantly tipped Dan McGuinness' free-kick onto the upright in the 87th minute. But the Wicklow club did pull one back in stoppage time as John Mulroy powered in a header from McGuinness' corner. Having starred against Shamrock Rovers last week, City keeper Doherty continued that form in this encounter with a superb showing. With just two minutes on the clock he produced a point-blank wonder save to deny Chris Shields as the stand-in Bray skipper met Shane O'Neill's cross six-yards out. Derry nearly took the lead in fortuitous circumstances in the 26th minute. McGlynn's 40-yard free saw Stewart Greacen get a flick in a crowded box and the ball bounced just wide of stationary Matt Gregg's far post. and fed McClean. His left flank pull-back set up McGlynn who scooped over the bar from 14-yards. The Seasiders responded soon after as Sean Houston's dead-ball fell to John Mulroy who lifted his drive high and over from 12-yards. Patrick McEleney curled over the target from the edge of the penalty area. In a tight second half, before Derry's two goals, Adam Mitchell also almost diverted the ball into own net in the 65th minute with a sliced clearance from Lafferty's driven centre. The Friday Panel chatting before they go on air. Mick O’Dwyer was on before the big match tomorrow in Aughrim with East Coast FM’s Michael Sargent, while our Friday Panel included Fr. Michael Cosgrove, Breda Kelly from Arklow Cancer Support and Mum of the Year Nominee and Shane Byrne from Arklow Waste Disposal. Zara Lambert from the Arklow Youth Centre talked about whats on offer for young people in Arklow and Amy Penston played for us and then her mother Niamh joined in to play us out. Fr. Michael Mernagh and Maeve Lewis who is the director of One In Four came one to discuss the Cloyne Report, while GP Margaret McCartney from Glasgow told us why it’s not as important as we’re told it is to drink 8 glasses of water every day. Andrew Doyle TD, Fergal O’Leary from the National Consumer Agency and Torlach Denihan from Retail Ireland on the cost of general groceries increasing, and Helen Walsh came in to tell us about how to bend the rules of ageing. The Holiday Doctor Joe Supple was in the Dr. Graham fry from the tropical Medical Bureau came in to tell us about certain diseases that can be picked up going abroad and we had the Garda update with Sargeant John fitzpatrick who dealt with Anti-social behaviour in Bray, damage done in Ashford to flower boxes and more. 2 of the lads from Empire Saints were in today to perform, before their gig at the Bray Summerfest this weekend. In this hour we heard for Stephen Donnelly TD on the downgrading of Irish debt to junk status by Moody’s rating’s agency, while Barry Nevin Labour councillor and Sinn Fein councillor John Brady clashed over the impending closure of Loughlinstown hospital. This hour started off with a debate over the €3 million CPO by Wicklow County Council of land near Greystones by the Three Trout river and Laura Wood, Morning Show reporter was down with Jimmy O’Shaughnessy and Owen O’Neill from the Vale of Avoca Development Association about the potholes and bumps around the area. Two of the lads from Empire Saints came in to the studio to play a few tunes and have a chat. They’ll be playing the Bray SummerFest this weekend. For more details check out www.braysummerfest.com and Michael Sargent, Presenter of Sunday Night Sport here on East Coast FM gave us an update on the Wicklow vs. Armagh replay in Aughrim on Saturday. I wonder which TV station will pick it up? I know i'll be watching it. Check out the latest promo! Fionn Regan, musician and Bray native came into the studio today to have a chat with Declan this morning. Anne Ferris Labour TD for Wicklow gave her position on Loughlinstown A+E closure, while Stephen Donnelly TD told us about the march he is organising tomorrow with regards to the reduction of SNA’s. Tommy Walsh from the Post Primary Parents Association came on to talk to Declan about the Junior Cert curriculum reform, while Laura Wood, Morning Show reporter talked to Deirdre Kelligan from the Irish Federation of Astronomical Society about chinese lanterns and how they are causing small fires to start in wooded areas. Billy Timmins TD came on the show to talk about the balloting of INMO staff in Naas hospital due to what the INMO claim ‘due to unsafe conditions in the hospital’. There was also a panel discussion on the stories of the day and the weekend just gone. Pat Leahy came on the line from the Sunday Business Post to give give us the details on Enda Kenny pre-election promises on Roscommon hospital. 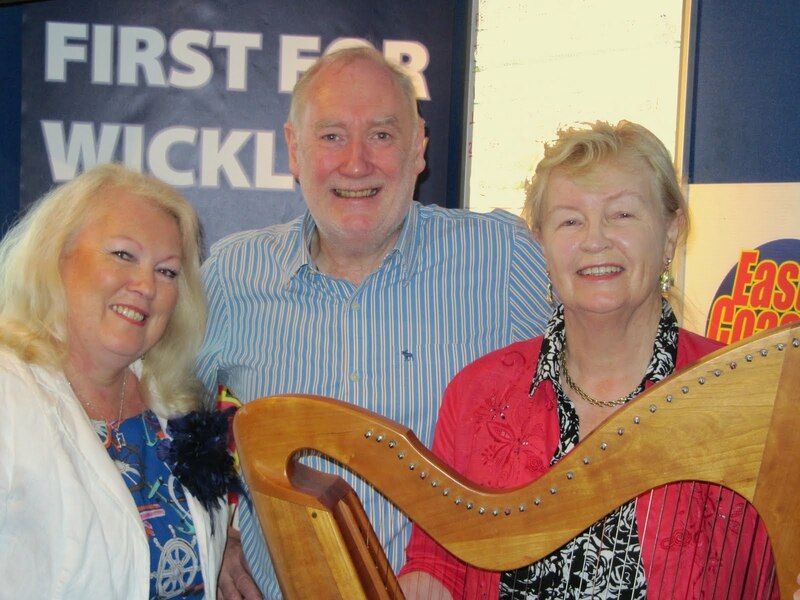 Morning Show Reporter Laura Wood went and had a chat with some of the organisers of the Knokenstocken festival while East Coast FM Sports Correspondant Michael Sargent filled us in on the Wicklow match last Saturday against Armagh in Armagh Athletic Grounds. Here's the TV ad we spoke about this morning on Freshly Squeezed. Anyone that does this though I'm pretty sure if caught would be locked up. It is funny in fairness.